All teenagers want to be seen. Today they can achieve visibility in an instant, but they face the same challenge as we all have, rising above everyone else and into the limelight. I wanted to explore YouTube culture and the way it is shaping our teens, who constantly want to be seen, and see themselves. Or some idea of that. Being a daredevil–or lacking “good judgment”–has plagued me since I was a teen, and it continues to plague teens today. Combine this with YouTube and something powerful emerges. Need proof of #2? Tosh. O. On that note, I’ve always wondered why we as a culture derive pleasure from others’ pain. We watch, cringe, and then watch again. I hear, “Watch this, Mr. D,” from my students daily. Tap Out was dark, as in I-can’t-see-my-hand-in-front-of-my-face-is-that-a-gun? dark. I wanted less dark, but equal intensity. Having characters risk their lives on a monthly basis fulfilled that goal. Money. Today, it’s everything, on par with the visibility quotient of #1. Adults have limited ability in this economy to turn things around quickly. So, what if? What if a teen knew of a way to make money, lots of it, risking something he doesn’t truly think he can lose, but is worth everything? Mhmm, that’s a great layer. Romance. For real. I wanted to see of I could write sparks. They are as genuine as can be for this would-be couple, in this volatile situation (Don’t think of that terrible line from Speed–it’s much more innocent and honest than that). Exploration of friendships. Risking your life is easy. Having emotions is difficult. You cannot do the former without having the latter. So, what are those emotions when they’re tied to your friends? And what if you haven’t been that close since middle school? What if this type of behavior was your undoing in the past? What now? Identity. Every story is about identity. Loss of it, a search for it, a confusion about it, a disillusionment over it, a false belief in it… Every story I write looks at this dynamic, and Dare Me asks how one can stay true to oneself when everything is up in the air. The one barometer I have for my stories is this question: Is it awesome? The answer has to be yes. And not just for the plot or for the characters or for the deeper, thematic issues. ALL. OF. IT. I hope that provides some insight. Because BEA kicks off on Wednesday and runs through Saturday. 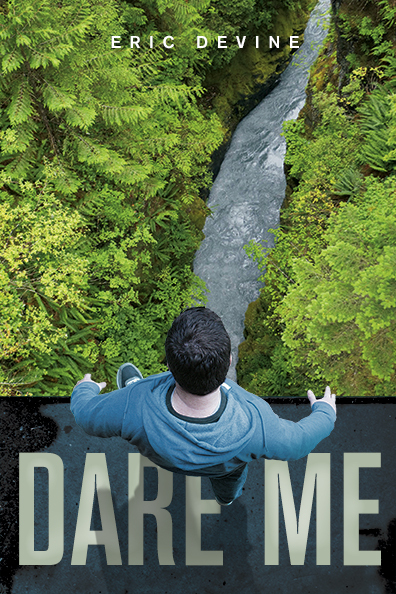 At some point, Running Press will be giving away Advanced Reader Copies of Dare Me. I hope that every copy disappears and that all turn to this site and find this post. Then when they head to Goodreads they can score me on my success or failure regarding my goals. Especially #10.